Flip a coin. 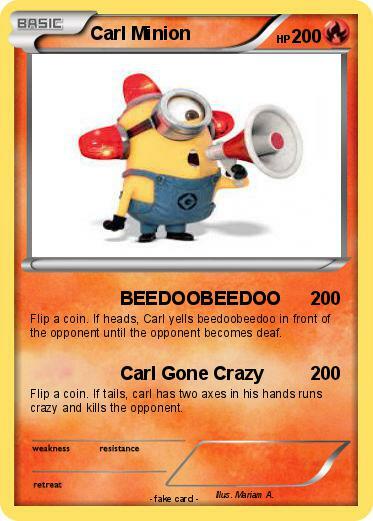 If heads, Carl yells beedoobeedoo in front of the opponent until the opponent becomes deaf. Flip a coin. If tails, carl has two axes in his hands runs crazy and kills the opponent.